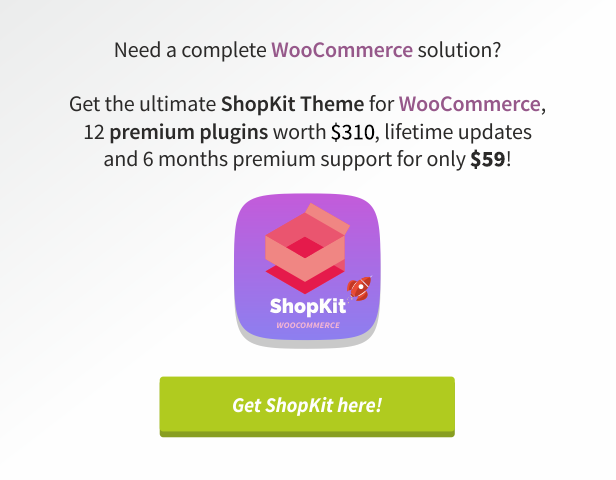 Great plugins for your WooCommerce shop in one bundle at an unbeatable price! Get your online store ready for 2018! WooCommerce plugins developed by Mihajlovicnenad.com (CodeCanyon user dzeriho) are being rounded up into an awesome power bundle! Three awesome plugins no shop can do without. Hurry and get these tools and boost your sales and conversions. This Power Bundle for WooCommerce will be maintained and updated regularly!WooCommerce 3.2.x+ Ready! Present your Product Attributes in a unique way using Images, HTML, Color or Text! All of the plugins were created with WooCommerce best practices in mind and will work with ANY template. All plugins are compatible with the latest version of WooCommerce! They are also translation ready and come with language files included, as well as being fully compatible with the WPML translation plugin. For more information just scroll down! + Essential Shop Bundle for WooCommerce - 8. January 2018.